PST files or Personal Storage Folder files (.PST extension) are the files that comprise of entire data of MS Outlook that include emails, contacts, tasks, etc. After some time, the PST file starts piling up with email messages, and the file becomes so large that MS Outlook starts crashing frequently; eventually, the entire PST file becomes corrupt. Corruption is directly related to data loss and damage caused to vital data may surely leave you in disgust and anguish. So, technical personnel recomment Outlook users to backup and archive the PST files. Keeping backup of your data everyday is the only way to keep your data secure from any of corruption issues affecting your data.Therefore old emails are archived to decrease the size of PST files. This way all old emails are maintained in an Archive.pst file. 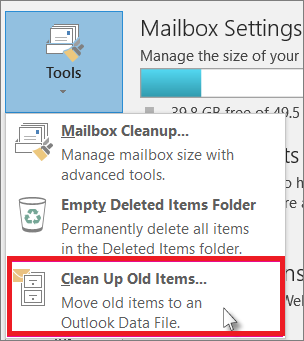 Open Outlook 2016 click on File> Info> Tools> Clean Up Old Items. Chose Archive this folder and all subfolders option and select the folder you want to archive. Enter the date in Archive items older than and Browse the location where you want to save file. Click OK. This way you can protect your PST files from corruption and maintain the performance of Outlook yourself. Never shut down your system or PC while Outlook is in running mode. You have exit MS Outlook correctly before shutting down or switch off the system. Never store unlimited data in a single PST file – it can bloat the PST file. Never store your PST file over a network or on a server – it can damage the PST data. Choose the best antivirus to protect your PC because virus attacks also can damage PST files. Always create a backup of PST files on a weekly basis which can be later used as backup files in case of data loss. 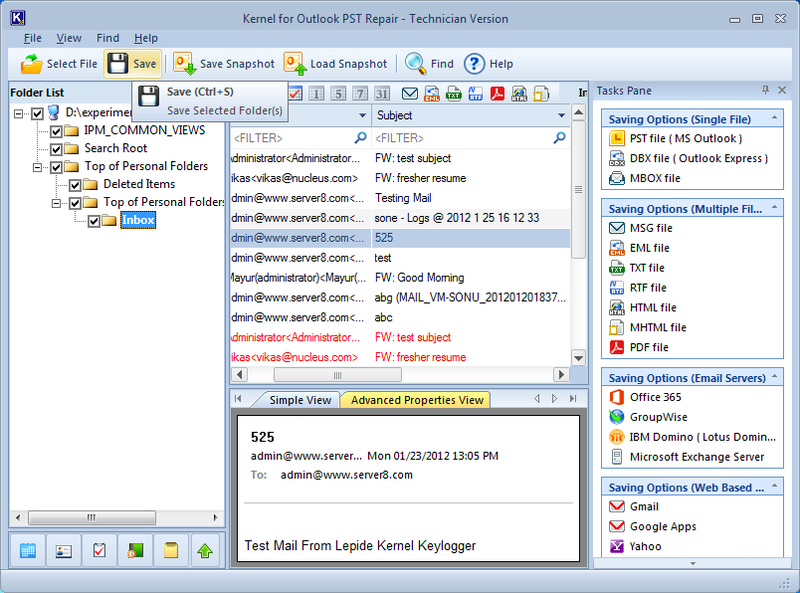 The PST recovery tool helps to repair corrupt and inaccessible PST files and perform a result-oriented email recovery. It is useful in repairing severely damaged PST files including large & encrypted ones. After recovery, you can save the file to a new PST, Exchange Server, Office 365, Gmail, or many other formats as per your need.